A Slice of Chicago in Ann Arbor!!! With three toppings of your choice, soup or salad. Original Chipati: $9.99. Chicken Ranch: $10.99. Michigan Cherry: $10.99. Greek: $10.99. Lunch, dinner, or late night–our comfortable dining rooms are open from 10:30AM until 4AM every day! Great for large groups. Watch the game, grab a drink, and relax! We deliver starting at 10:30AM and late into the night (until 4AM). We pride ourselves on fast, efficient delivery. So next time you’re in the mood for great food (ours) and feel like staying in the coziest dining room in town (yours), give us a call or order online and we’ll bring your favorite foods right to your door! Discounts on all your Pizza House favorites. Daily lunch specials. Pizza Deals. Late night cravers menu and more! Check out these fantastic offers under the specials section in the menu. We also offer member-only discounts, so join our mailing list and save. We will send location specific discounts. Please choose your preferred location. 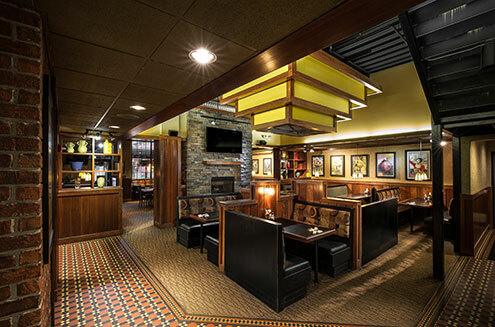 Our inviting, spacious location can accommodate over 500 guests, making the Ann Arbor Pizza House the perfect destination for large parties and special events. 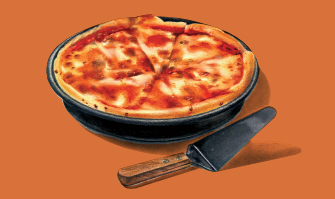 Dining room and delivery service open until 4:00AM every day. A slice of Chicago right here in Ann Arbor! 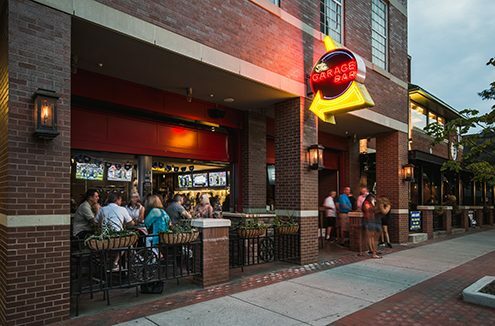 Tune-up your day in Ann Arbor’s only full-service Garage Bar. Featuring 32 craft beers on tap, countless TVs and a full Pizza House menu. The open-air atmosphere offers a refreshingly distinct venue that keeps the nights hot and the drinks cold! Conveniently located in the Hannah plaza. 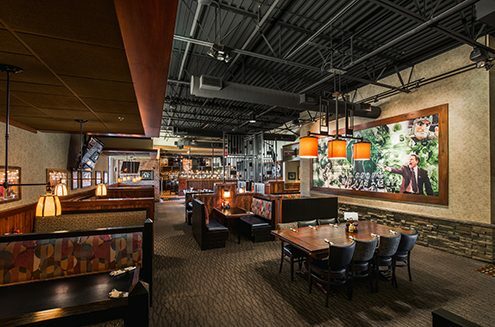 With over 400 seats and plenty of parking, our East Lansing location is a perfect destination for large groups and special events. Full bar, 30 flat screen TV’s and a great atmosphere. Dining room and delivery service open until 4:00 a.m. every day. A slice of Chicago, right here in East Lansing!